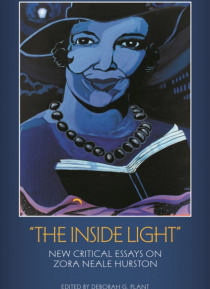 "e;The Inside Light"e;: New Critical Essays on Zora Neale Hurston caps a decade of resurgent popularity and critical interest in Hurston to offer the most insightful critical analysis of her work to date. Encompassing all of Hurston's writings-fiction, folklore manuscripts, drama, correspondence-it fully reaffirms the legacy of this phenomenal writer, whom The Color Purple's Alice Walker c… alled "e;A Genius of the South. "e;"e;The Inside Light"e; offers 20 critical essays covering the breadth of Hurston's writing, including her poetry, which up to now has received little attention. Essays throughout are informed by revealing new research, previously unseen manuscripts, and even film clips of Hurston. The book also focuses on aspects of Hurston's life and work that remain controversial, including her stance on desegregation, her relationships with Charlotte Mason, Langston Hughes, and Richard Wright, and the veracity of her autobiography, Dust Tracks On a Road.